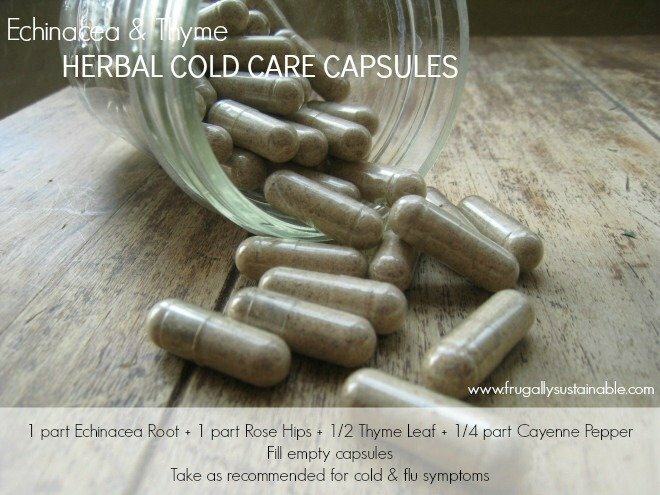 I feel like my medicine chest isn’t complete without these herbal cold care capsules. This is one of my most effective and favorite remedies for combating minor cold and flu symptoms. Making my own allows me the freedom and joy of controlling the quality of ingredients! 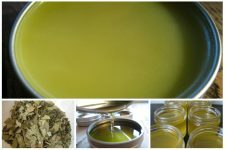 In fact, most of the herbs I use in this recipe come from my small backyard medicinal herb garden and are dried here in my own home. There’s nothing like knowing beyond a shadow of a doubt their potency! In a non-reactive bowl, mix all of the herbal powders together until well combined. With the use of The Capsule Machine, fill as many capsules as you think your family will use within a 6-12 month period. Note: Don’t have a Capsule Machine? It’s okay…simply scoop the powder into each piece of the capsule and pack it tight prior to recapping the ends. Store the capsules in a small glass mason jar and place the lid on tight. Keep in a cool, dark, dry place. 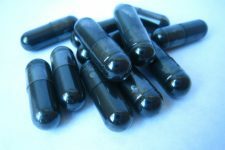 These capsules should stay fresh for 6-12 months. A couple of weeks ago I was beginning to develop a scratchy throat (The way my body warns me of a coming illness). After drinking a immunity-building tea, I took 2 of my Herbal Cold Care capsules and went to bed early. Upon rising in the morning I took 2 more capsules and that was the end of that! According to Rosemary Gladstar in her book Medicinal Herbs: A Beginner’s Guide, at the onset of illness :: take 1-2 capsules every 2-3 hours (do not take more than 9 capsules a day). 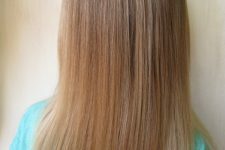 This regime may be continued for 2 days — after that you should reduce the dosage to 2-3 capsules two to three times a day (taking no more than 6 caps a day). -Based on what you have growing in your garden or in a local field, you may use a variety of medicinal herbs in combination to create your own Herbal Cold Care capsules. Philip Fritchey’s book Practical Herbalism: Ordinary Plants with Extraordinary Powers can be very helpful in learning safe and effective herbal combos. –Mountain Rose Herbs…they have everything you’ll need by way of Organic Bulk Herbs, Capsule Making Supplies, and Natural Products for Healthy, Natural Living! It’s your one-stop-shop! Be sure not to miss a post, click this link to receive my free eBook and Frugally Sustainable tips by email. 6 to 12 what… time period… weeks… months..? You left it out! I am assuming months. Wow, this is fantastic! I have always used Echinacea in the winter, and just started using tincture of elderberry, which by the way, worked wonders for warding off nagging cough symptoms. I have an elderberry bush and wonder what/how can I turn them into powder to make this? You should be able to just dry them in an oven or dehydrator, then crush them into powder with a mortar and pestle or maybe a food processor. I love this! Thanks so much for sharing!! I am going to make these this week with all the colds going around lately. This is great! I made an elderberry/echinacea syrup that we have been using and LOVING! This however is more portable and would be good to keep in my office desk and take with us when traveling. It’s also great to have a couple things you can take to boost your fight when it’s first coming on. Thanks for sharing! I was thinking to mix with turmeric and pepper, you know curcumin and piperine. Piperine increase curcumin absorption to blood stream and those both are good for flu and also we who has rheumatism (and flu makes rheumatism even worst) eases the flu symptoms. This idea I got from ayurvedic flu medicine drink with milk, turmeric, honey and some pepper to ease flu. I took that medicine drink to my daily use as mixed with chai tea latte, prefer non-dairy milk because it inhibits some good stuff from tea, coconut or other vegetable milk is better. And I love your ideas! I have a Capsule Machine and we’ve made garlic, turmeric, triphala, and other capsules. It is so easy and so much more economical than store-bought capsules!!!! BTW, I loved Rosemary’s book so much when I borrowed it from the library that I purchased it myself. Now I feel the urge to check out Phillip’s book…. Thank you for all your time and effort in sharing your resources and ideas!!!! Do you think you could put them in the freezer to extend the life so you don’t have to make them every 6 months? What happened to your Etsy shop? I am really enjoying getting into this now. With the fall coming and cold settling in I am wanting to fight off the flu anyway I can naturally. Being pneumonia prone with Asthma (years of Dr care has not helped me, just gotten worse) I am studying into doing it all natural this year. We have made and been taking elderberry syrup (Thanks Andrea for recipe) Now I want to get this to begin. Looking for herbs that are great for respiratory issues. Any advice on how to dry rosehips? Is Thyme leaf and flower powder all one thing? Having trouble finding it. Thank you so much for this recipe. I’ve been meaning to try it for some time and just now got around to it…well, at least we’ll be prepared if we get one of those pesky summer colds. Just wanted to mention that I tried it with 2 Tbsp of each of the top two ingredients, 1 Tbsp thyme, and 1.5 tsp cayenne pepper and it yielded approx. 60 capsules, in case anyone else is curious about yields like I was. Thanks again, Andrea!